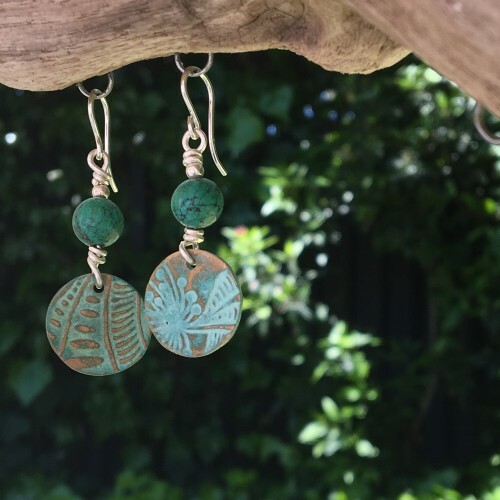 A bohemian chic pair of dangly earrings. 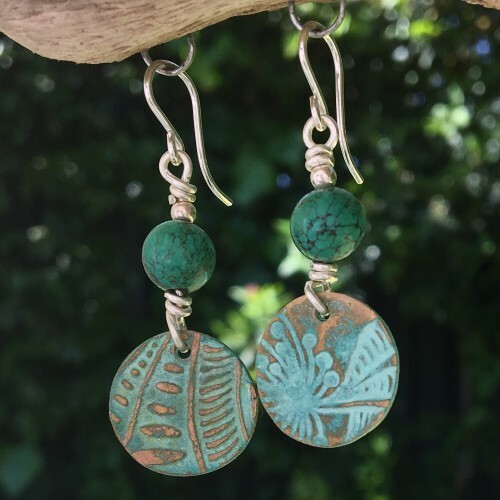 The round discs have a diameter of 1.7cm and are imprinted with a lovely stamp pattern of leaves and dandelion. 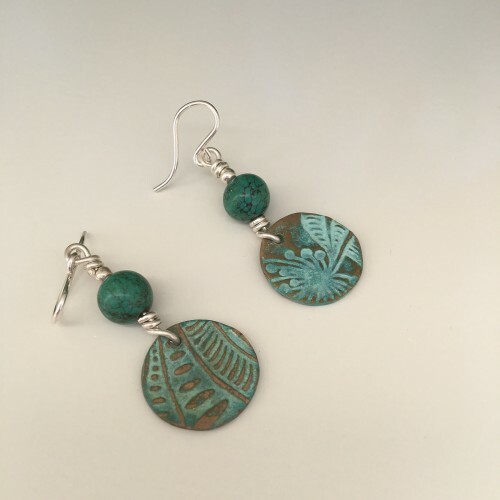 Both discs have different but matching turquoise patterns on them and are sanded back to expose the warm and rich bronze colour underneath. 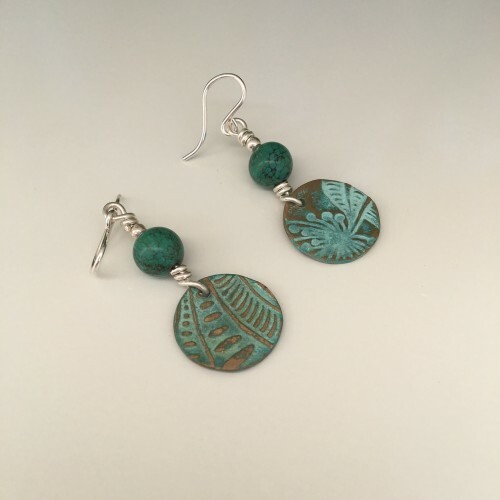 Adorned with deep green turquoise beads and sterling silver fittings this casual pair is quite catchy and unique in its appearance. The dangles measure approximately 4.5cm long including ear wires.